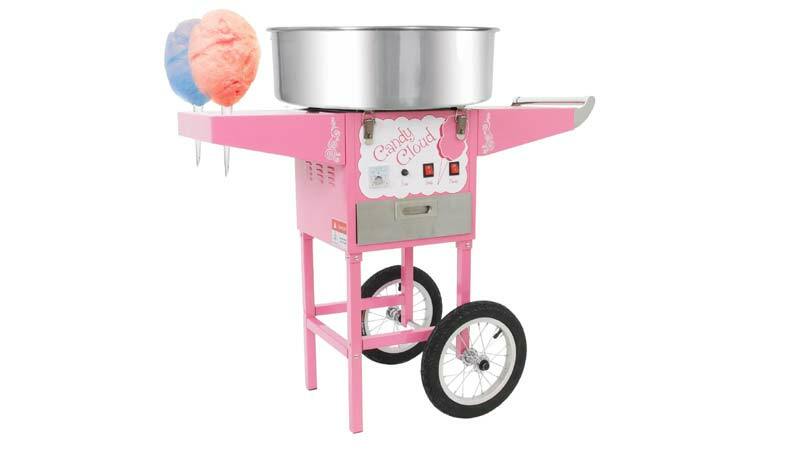 The FunTime Cotton Candy Machine With Cart has an impressive 950 watt spinner and is an approved commercial grade cotton candy machine. It can operate continuously and heats up in an incredibly quick two minutes. One cotton candy cone will take about 30 seconds to make once the machine has warmed up and the floss sugar has been added. The 20.5″ diameter stainless steel bowl makes gathering the cotton candy effortless. Eager customers can stand around the machine and excitedly watch their sugary treat take shape and grow. You’ll find many helping hands and volunteers lining up to take a turn. The Candy Cloud’s spacious build in drawer is a brilliant additional feature. It makes storage of all the essentials easy and you will have easy access to all your flavoured sugar, cones and whatever else you need. The Candy Cloud Cotton Candy can be used with both floss sugar and hard candy including diabetic sugar free candies. Cotton candy made from Hard candy has a slightly courser texture than floss sugar and does not stick to the cones as easily but is a great alternative for the health conscious. 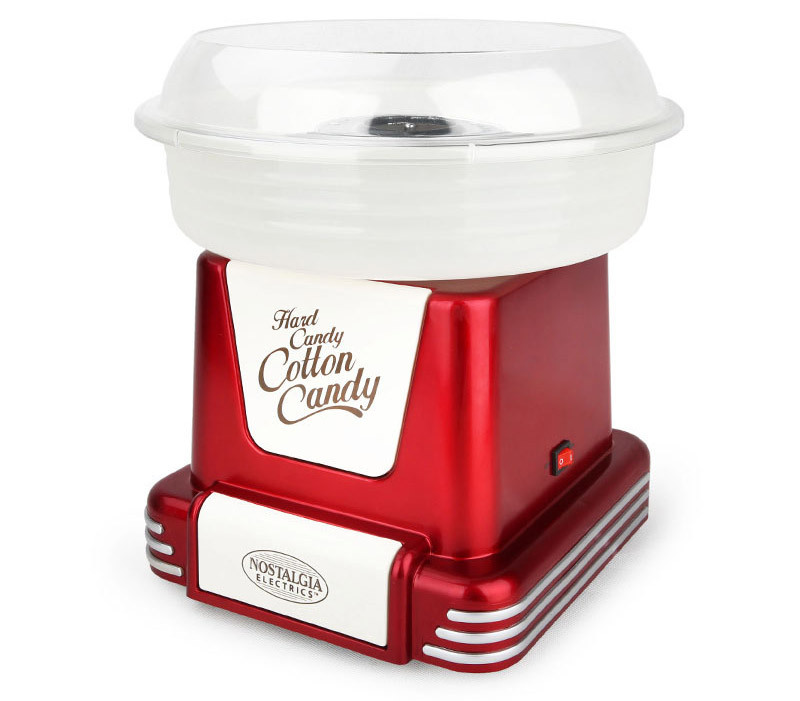 Instead of sugar, insert 1-2 pieces of your favorite hard candy into the machine and dream up your own cotton candy creation.